If Health Care Is A Right, Does That Make Doctors Slaves? 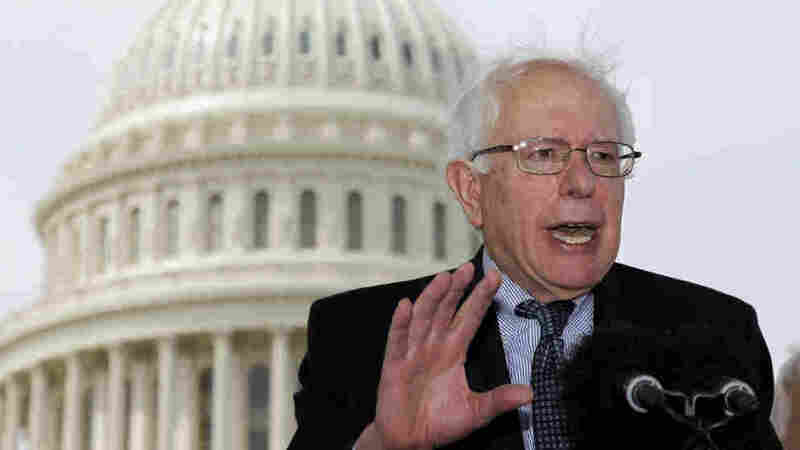 : Shots - Health News Liberal Sen. Bernie Sanders and conservative Sen. Rand Paul used a hearing on emergency room use to engage in an unusual debate about whether health care is a right. If Health Care Is A Right, Does That Make Doctors Slaves? "Do you feel like a slave?" That's a question Dana Kraus, a Vermont family doctor, probably didn't expect at a Senate subcommittee hearing today on the issue of how to reduce the unnecessary use of hospital emergency rooms. But that's what Sen. Bernie Sanders (I-VT) asked her as the hearing turned into a philosophical debate between the socialist Sanders and conservative Sen. Rand Paul, (R-KY) over whether health care is a right for all Americans. Paul used the hearing to question why federally funded community health centers are offering family planning services if Planned Parenthood provided the same services. And he questioned why the centers are bothering to treat patients with private or government insurance, as they could be seen elsewhere. Paul, an ophthalmologist, took exception to Sanders' remark that health care was a right for everyone, saying that was akin to putting physicians into slavery. "Having a right to health care implies that you have the right to conscript me and you can enslave me, the janitor at my hospital or the person who cleans my office or the nurse," Paul said. That's what led Sanders to ask Kraus, who works as a salaried physician at a community health center in St. Johnsbury, Vermont, if she felt like a slave. Kraus' answer: "I love my job. I chose to work there. I do not consider myself a slave." The spirited discussion between the senators overshadowed the real reason for the Health, Education, Labor and Pensions subcommittee hearing: a discussion of a General Accountability Office report on strategies to reduce ER use.